I often wonder how many WECA (or, if you prefer, Canadian Whites) collectors there are out there? How many of them are outside Canada (in the States, in the UK, in Europe, or even in Australia/New Zealand)? 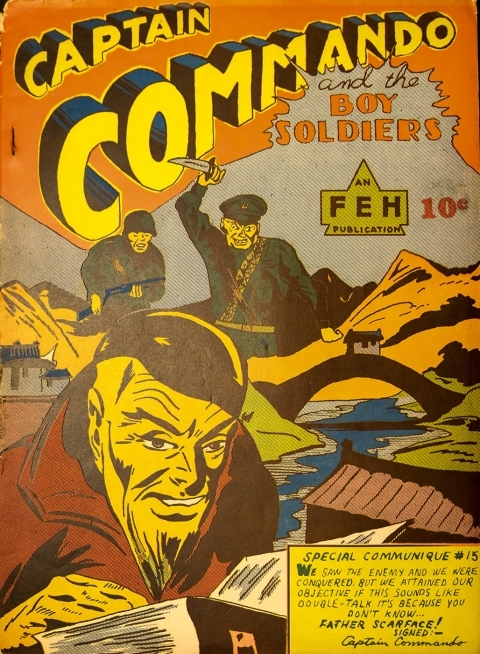 In any case, most of us, who admit to being WECA comic collectors, will try to get any of these old Canadian war-time comics whenever we come across them because they are so scarce. Over the last number of years, the mindset concerning the value of these books has changed. 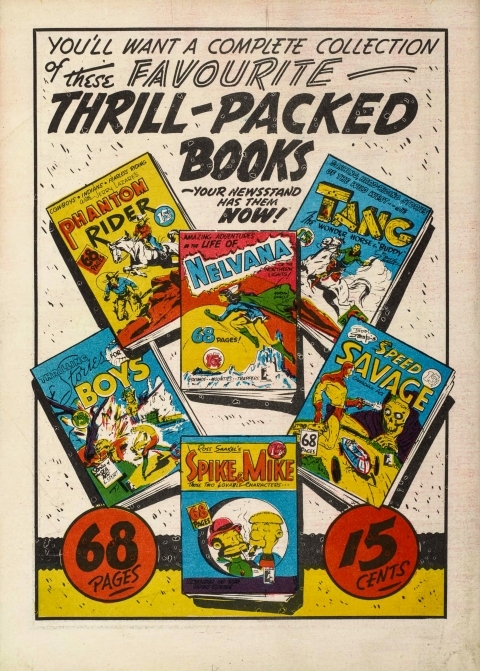 It wasn’t so long ago that they were seen as almost throwaway books that had very little redeeming (collectible) value but now, as we find out more about them and share this information with the comic book community at large, these comics have garnered more value. 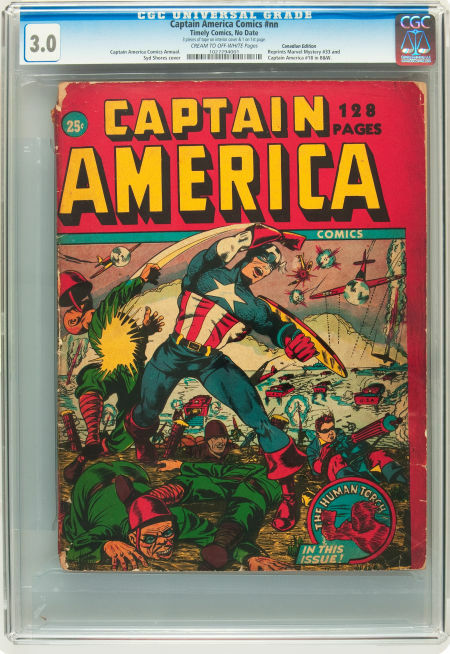 Many collectors find them “slabworthy” even in lower grades and they’ve come to fetch solid numbers on auction sites. There were a number of smaller Canadian publishers during this period, all of them based in Toronto. 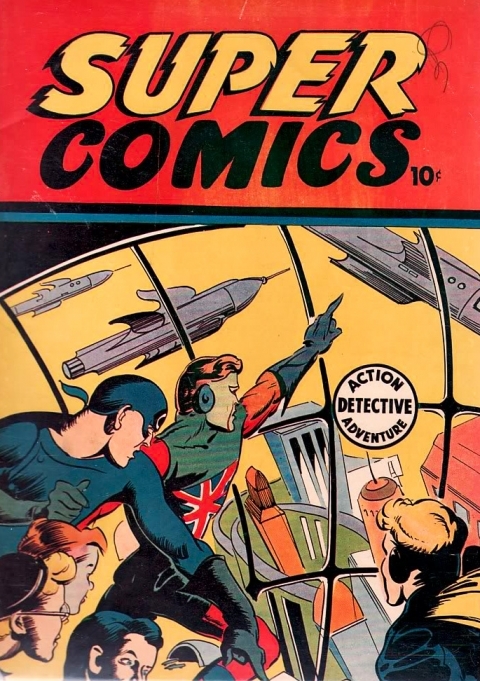 F. E. Howard, for example, put out a run of MLJ reprints called Super Comics, a run that was started by Citren Publications which published that famous first issue of Super Comics which reprinted Pep Comics 22. Those MLJ reprints can get you some relatively big bucks, though I’ve never really appreciated why. 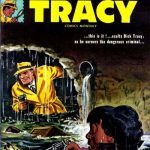 In one sense, then, we can call them “collectible.” Al Rucker Publications, Century Publications, and Feature Publications also each put out a small number of titles that many collectors energetically try to chase down. Weekender Vol. 1 No. 2 contains some original Canadian material. Then there are some oddball books like Real Boys Stories that just closed on the July ComicLink auction at $425. For our purposes, let’s look at and compare just the four main houses, Maple Leaf Publications in Vancouver, Anglo-American and Bell Features (I include Dingle’s Hillborough Studios under Bell to preserve the continuity of Triumph Comics), and Educational Projects in Montreal. F. E. Howard’s large size issue of Capt. Commando which is very hard to find. Now, to determine which of these four main WECA publishers could be said to be the most collectible, we also need to close in on the denotation of the term “collectible.” For some of us this may mean finding those books that bring back the best return on investment. This is not what collecting and collectibility has ever meant from my point of view and it is not how I want to use it in this installment. 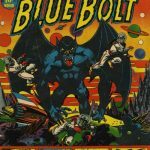 When I began collecting in the early 1960s, I went around from second-hand book store to second-hand book store to hunt out back issues of characters whose runs I wanted to complete and really anything that looked interesting. Most importantly, I wanted to read issues I didn’t have. The Marvel Age was just beginning, there were no reprint collections, no cons, and no price guide. You went out treasure (treasure to you, but other people’s junk at the time) hunting a couple of times a week. You also had a small network of friends who collected as well, so you could trade and that was just about it, except for a couple of American fanzines that might provide you with some back issues, but sometimes you got some pretty beat up issues if you went that route. Being a comic book collector at that time was broadcasting that you were a social outcast. I loved it! Today the comic book world is not so much a collector and creator driven entity. 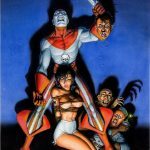 The comic book itself has been turned into a marketable and investable commodity with its GPA stock ticker and corporate media and manufacturing spin-offs—go to any convention today and count how many comic book dealer tables there are compared to all the ephemera and corporate product pushing that goes on. Collectors now are admired because of their investment savvy and their direct connection to and participation in what has come to be a cool pop culture world. Maybe one of the reasons for this transformation has been that CGI has finally caught up with our imagination. Everybody can now see on the screen what we comic book fans and collectors were seeing in our heads in the Silver and Bronze Ages. I guess in the 60s we collectors dreamed of getting to this kind of respectability so that the terms “comic book nerd” or “comic book geek” actually had positive tones to it—but it has happened at a cost. 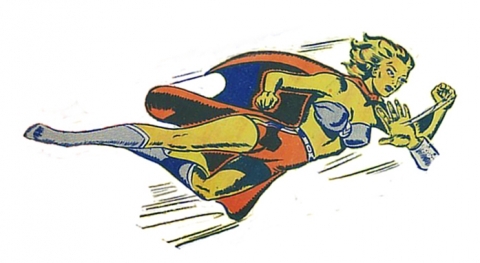 Comic book collecting has always been character-driven more than anything else. Looking back after over seven decades, we can see that each of the four major WECA publishers had their lead character (though I’m not sure how clear it was to each publisher who their lead character was at the time…). 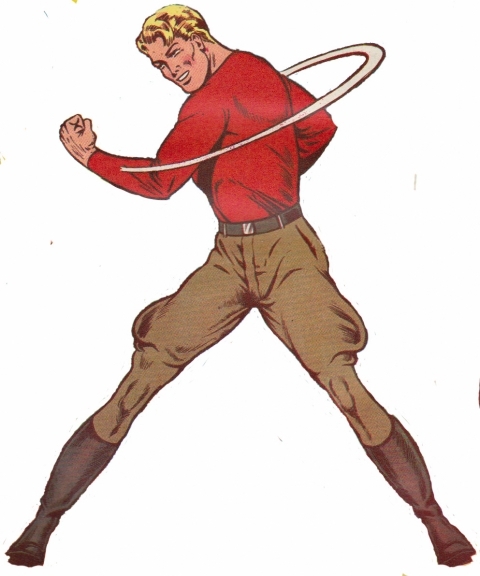 For Maple Leaf Publications it was Brok Windsor in Better Comics, though he didn’t appear in the title until the spring of 1944 when half the run was over. 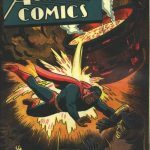 For Anglo-American, it was Freelance who came onto the scene in his own title in the summer of 1941 and who had the longest run of any character in WECA comics. 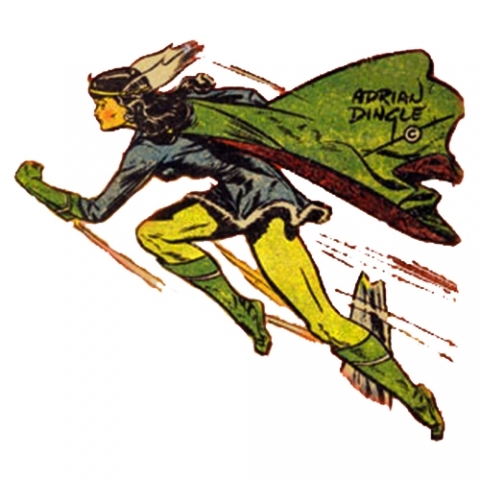 For Bell/Hillborough it was Canada’s heroine of the north, Nelvana, who appeared in Triumph Comics and who began at about the same time as Freelance did. 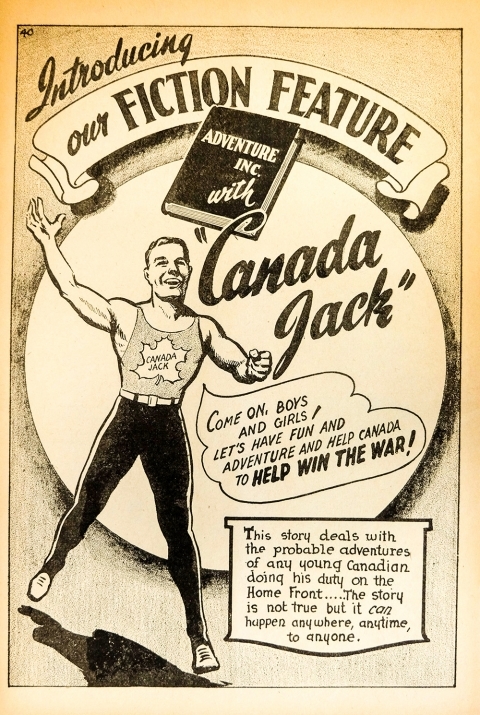 Finally, for Educational Projects in Montreal, it was Canada Jack who appeared in Canadian Heroes Comics in the 11th issue of its 30 issue run. Each of these companies had their best artists working on these flagship characters. Ed Furness handled Freelance, Adrian Dingle created and drew Nelvana, George Menendez Rae brought Canada Jack to the page, and Jon Stables realized Brok Windsor. 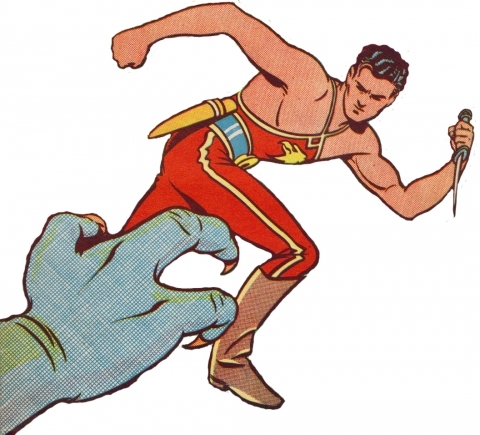 In my opinion, we probably have to drop Freelance and Canada Jack down a tier in comparison to Nelvana and Brok because they didn’t have the same comic book punch that the latter two had. 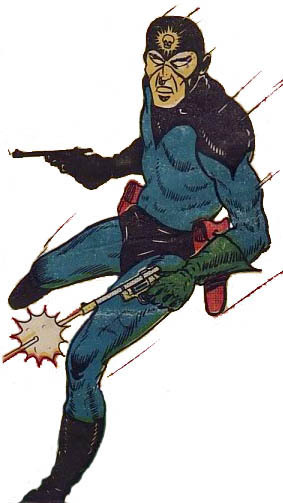 Freelance was a soldier of fortune with a mysterious origin in Antarctica who became associated with Canada and fought the Axis in countries around the world. Canada Jack was a hyper-fit and athletic Canadian who wasn’t connected to any police force or government or military organization. He fought the fifth columnists on Canadian soil and helped organize home front efforts to support the war and he was the only Canadian war-time character to have any sort of maple leaf emblem on his outfit. Neither of these two had any super powers. When we compare the published product of Anglo-American and Educational Projects to that of Maple Leaf and Bell, we also have to set them a notch below the latter two. 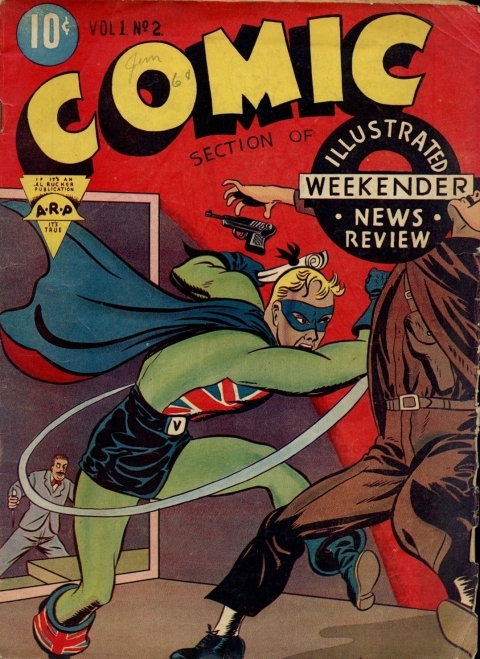 Anglo-American produced comics with inferior paper quality covers that were monochrome until they started producing full colour comics in 1945. 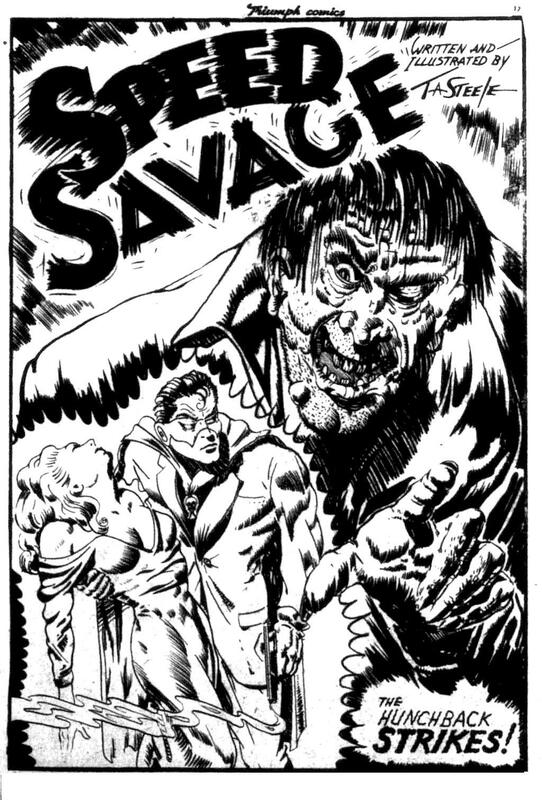 Anglo-American also relied a lot on redraws of Fawcett scripts from 1942-45 and, though these were often well drawn, they were just a rehash of American stuff rather than something originally homegrown Canadian. 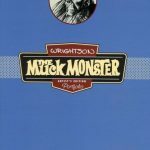 Educational Projects, though often very well drawn, produced comics that were intended to edify rather than entertain. 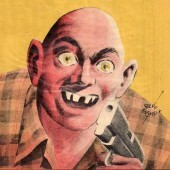 They were a Canadian hybrid of Classics and True Comics and lacked that fun comic book pizzazz. 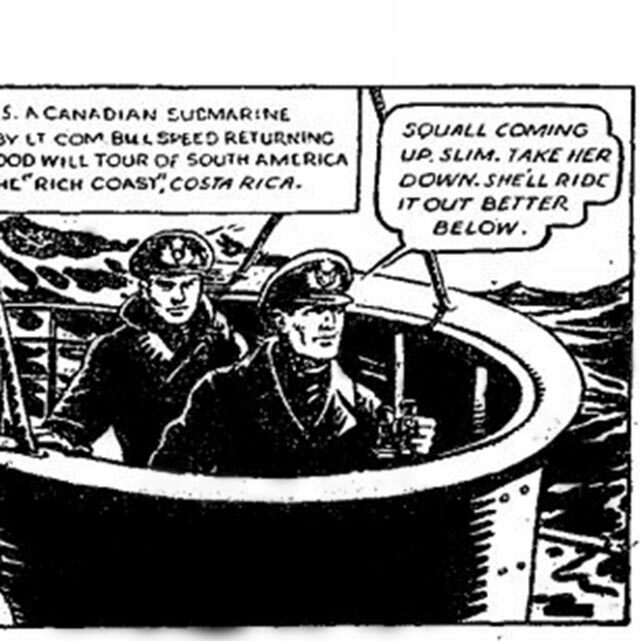 The Canadian war-time comics to collect are Maple Leaf Publications and Bell Features books. They look and feel like what comics should be. They both have good characters and each had a wonderful stable of artists. Maple Leaf, however, even though it had Brok, Cosmo and his White Magic, Sgt. Canuck, and The Black Wing, really didn’t have the constellation of heroes that Bell Features had. 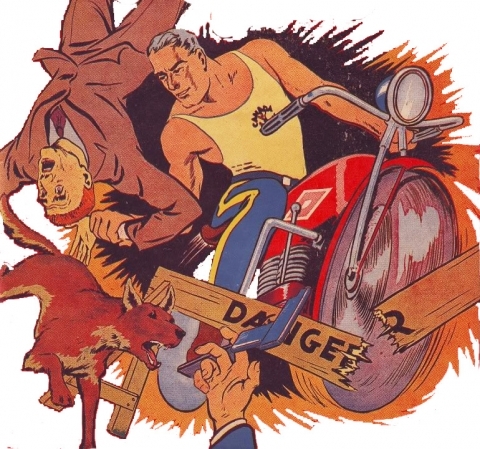 Maple Leaf relied a lot on less colourful features like Pinky in Bing Bang Comics, Lucky the French resistance orphan in Lucky Comics, and Bill Speed and Mono the Air Cobra in Rocket Comics. A large part of the collectibility of Maple Leaf books is that they are generally the rarest of the four main publishers’ comics to find. Brok Windsor, of course, brings a lot to the table. He is superbly drawn by Stables. He’s a Canadian doctor who goes on a John Carter of Mars type of adventure in a strange alien world that is hidden somewhere in the back woods of Canada. He encounters and advanced technology as well as alien creatures that complicate life for him. 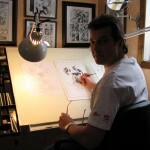 But for me, Brock doesn’t have the overall impact that Nelvana does, especially when Nelvana is nested in the rest of the Bell Features universe which houses characters like Leo Bachle’s The Brain and Johnny Canuck, like Tedd Steele’s Speed Savage, like Murray Karn’s Thunderfist, and like Gerry Lazare’s Nitro and The Dreamer. Bell Features comics have the colourful and garish covers we’ve come to expect on comics (meaning they look more like American comics). They’re jam-packed with well-drawn heroes, detectives, air aces, and adventurers. They are more readily available and come up on the market more than Maple Leaf books. For me these things make Bell Features books the most collectible of the Canadian war-time comics and recent auction results over the past year or so seem to reflect this. Collectibility is in huge part, however, a very personal thing and I would welcome anybody else’s take on this. 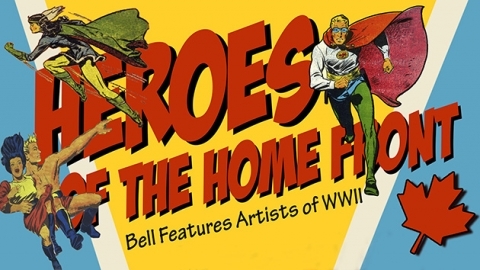 In order to help promote the Kickstarter for my upcoming book on the Bell Features Artists titled Heroes of the Home Front, I’ve recently started a Facebook page as well as a Facebook group. Please take a look at them when you have the chance. This past weekend, I have begun building my Kickstarter project for the Heroes of the Home Front book and the preview link is here so you can see it take shape. Still have to do a video and have to determine what the price point of the book will be and how many softcover and hardcover copies there will be. I will be doing a talk on my book at Fan Expo over Labour Day weekend and I’m proud to say that Gerald Lazare will be the featured guest. Gerry has also agreed to do a signing for about an hour after the presentation. 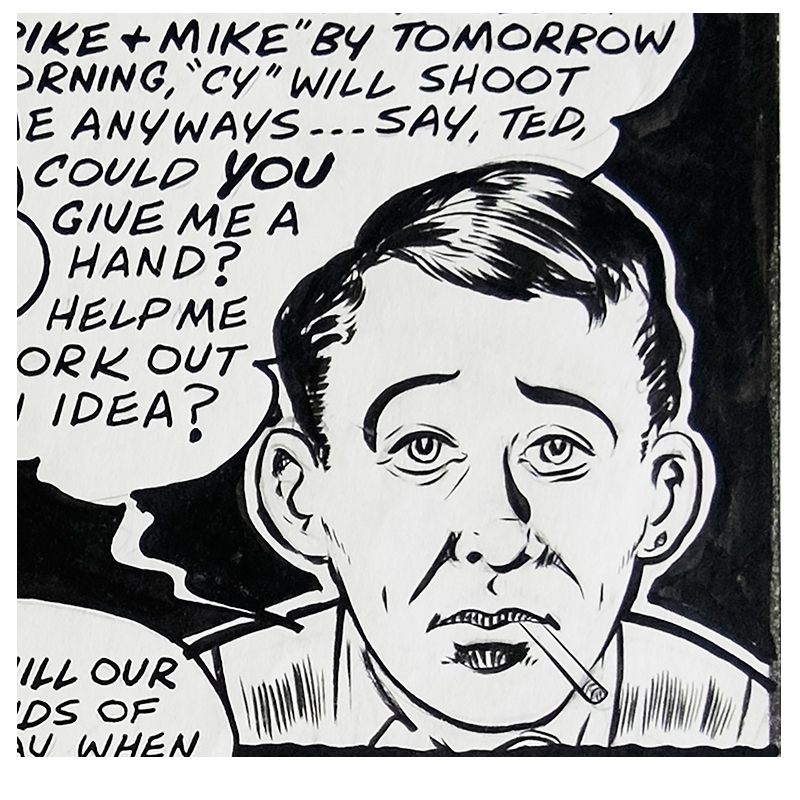 This will be a rare chance to meet one of the original artists from the Canadian war-time comics. No exact date and time for the presentation has been determined yet but I’ll share it in this column when I find out. Great post! I pretty much have to agree with you 100% on this one. The Anglo-American comics have so little eye appeal when compared to the likes of Bell and Maple Leaf, but, over the years, the supply of Anglo-American product has far outweighed the supply of most, if not all, of the other companies. I am a particular fan of Canadian Heroes though, since they are the most Canadian-content conscious of the whole bunch, and George Rae is one of THE first-rate artists of the time. I’ve always thought there should be a reprint edition of all of his R.C.M.P. stories. I was also wondering if you have any idea what some of the final prices were on that last Comiclink auction. They seemed down a bit from previous auctions and I wondered if interest may have cooled a bit. Great to see you back in the saddle again! Most collectible of the publishers? I don’t acknowledge your premise here Ivan sorry, the more collectible for me would be for the artist/writer and their stories. Ivan, if you’re doing a panel with Gerald Lazare at Fan Expo what are the chances of getting him to talk about Ross Mendes and his art? I know Ross did at least one jazz album cover, did he more LP covers? Some things like this would be of interest to me. And I’m going to disagree with Mel here on artists and say that I still prefer Jon Stables and Edmond Good’s work as top of the heap. btw, I cannot see those HOTHF facebook pages (like I can the Sequential one) I guess I’m not a fb type and they aren’t ‘public’ whatever that is. Mel, I’m with you on Canadian Heroes, but these seem to be vastly underappreciated by the general collecting public. It takes capes and costumes to make them raise their eyebrows. Also, take note that there is a 5.0 copy of the Nelvana compendium coming up in the next Clink auction. I’ll try to include a statement about the July Clink auction in my next post, but I think the prices of these books are holding steady. Jim, I know that collecting certain books is a personal taste and that most people collect characters or artist/writer but my premise was that if you look at just the four main WECA publishers and asked which of the four was the overall most collectible most people would probably gravitate towards Bell. Just a thought exercise. When it comes to Canadian WECA comics, I’m not that discriminate. I just try to get whatever I can and what I can afford. There’s a section on Ross Mendez in my book and Gerry and Ross were life-long friends. Gerry relates the time they first met on the St. Clair streetcar in his interview in my book. Ross and Gerry each did one Jazz LP cover as far as I know. Gerry will be the feature guest at my panel on the Saturday of Fan Expo, though a time hasn’t been set yet. He’ll do a signing for about an hour afterward at the Chapterhouse booth. I signed back on Facebook about a month ago just to promote the Kickstarter for my book after being off it for more than a decade. 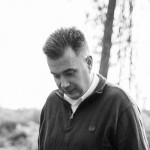 I used to have the same trouble when I wasn’t a member–I couldn’t really see content without being a member. I’ll try to post more here. I’m gonna be travelling 4+ hours to be there and see the Gerald Lazare panel and be there for the signing so any extra details about timing would be appreciated. Hopefully I don’t have to couch surf more than one night to make this happen. Anyone got a couch?? ?